One of the necessities of life is to remove dirt and oils from our skin regularly. Newborns are no different in this regard. In fact, most babies will have their first bath in the hospital before they are even brought home. However, most hospitals don’t teach you how to safely bathe your child or the potential dangers and pitfalls you may encounter in your endeavor to do so. Read on for some of our general bath safety tips in this first entry of our bath safety series. 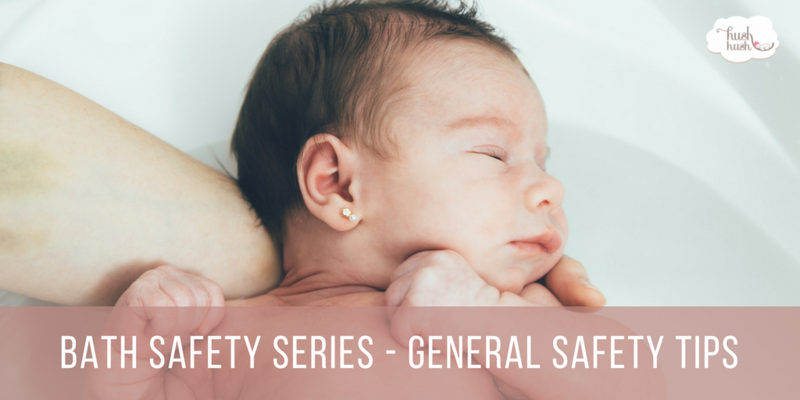 While there are many aspects to general bath safety, one that is often discounted (especially when bathing baby at home for the first time) is that babies are extremely slippery. As a result, it is necessary to make sure you have a firm hold on them when moving them in or removing them from the bath. Additionally, newborns have little control over their bodies so if you are not careful; your baby can find themselves in a dangerous situation or potentially drown. Therefore, it is imperative that you always keep at least one hand on your newborn at all times during the bath. Most tubs have a configuration for newborns and one for infants so it is necessary to be aware of how your tub should be used for the age/development level of your child. Since babies can’t support their themselves or their necks, a critical part of bath safety is making sure they are adequately supported. If a newborn is put into the infant configuration, their airway may become restricted (positional asphyxia) because they can’t hold their head up or they can potentially slide into the water. The newborn configuration supports your child’s head, neck, and body while preventing them from sliding down. In bath safety, there is no room for ego or pride so if you need an extra set of hands to keep your baby safe, ask someone. The same thing applies if you are unsure of how to safely do something while your child is in the tub. Asking a Newborn Care Specialist (NCS) is a wonderful way to learn the information you need to maintain your baby’s safety during bath time. Contact Hush Hush Little Baby today to learn more about how an NCS can be of service to your family.